We help you identify what’s important when it comes to buying a home and understanding the mortgage process. Our mission is to learn your priorities and examine your risks and needs. We create a plan that fits your unique situation and help you get there. We retain the servicing on all of our conforming loans, so you don’t have to worry about your loan being sold to another servicer. The experts at Standard Mortgage will help you determine the best type of loan to meet your specific needs and also work with you on financing and loan payment options. Start the pre-approval process with a local loan officer today! Connect with a Loan Officer! We’ve put together an entire section of our website to outfit new home buyers with great advice to help through the process of their first home purchase. 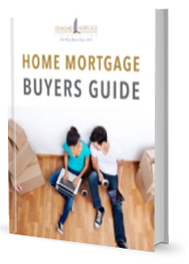 Download the Mortgage Buyers Guide. It’s packed with insights that ensure your biggest investment is your best one. Really excellent/accurate service – Thank you. Service was great and made easy. Will definitely refer. I enjoyed working with Standard Mortgage. Love the eStatus availability and ease of paying the monthly note. I had a wonderful experience with Standard and will definitely recommend them to friends and family. I particularly appreciated the personal service. The people at Standard Mortgage are great, always helpful. We will use them again. In addition to principal and interest, your monthly mortgage payment may also include an escrow payment (property taxes and homeowners insurance) and private mortgage insurance (PMI) payment. Use our loan calculators to help you determine your monthly loan payment, what it would take to pay your loan off early, the cost of renting vs. buying, and the potential savings realized through refinancing. Standard Mortgage has grown from a single office in New Orleans to a company with multiple mortgage offices located throughout the South. Is a Cash-Out Refinance Loan Right for Me?